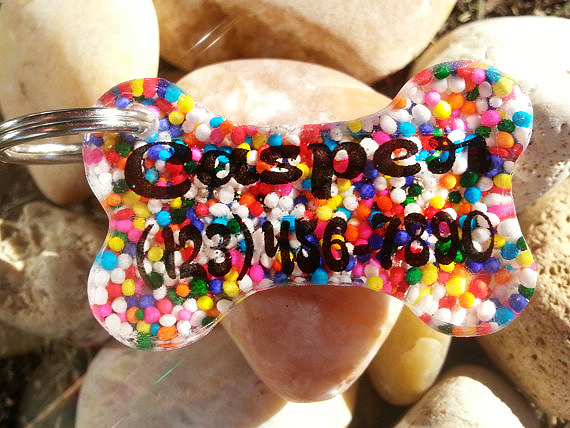 There's still time to create some resin treasures! Click the image for a link to the Doming How-To Video, then we drilled at the top and bottom of each domed piece, and added jump rings and a crystal drop. Tie a ribbon on and what a great gift this will be! 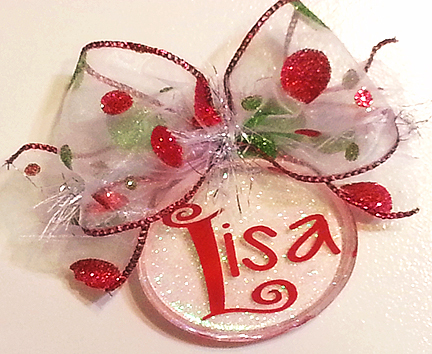 For this one we printed on our Special Photo Paper and added a little glitter then domed it for a smooth shiny finish. Click this image to watch the how-to video. 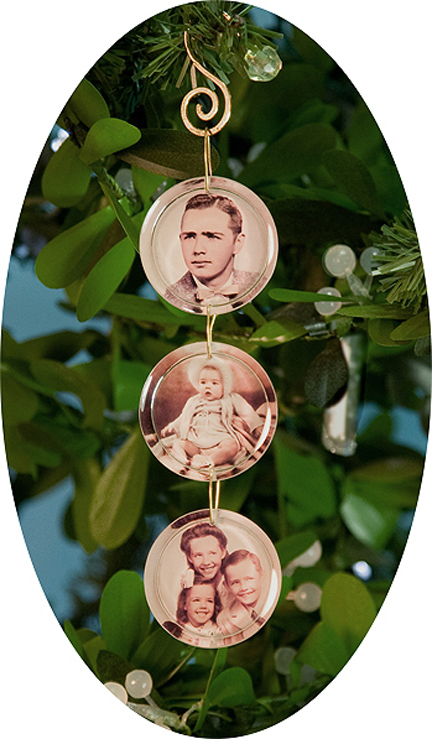 Create these gorgeous keepsakes with vintage photos! The name in this piece was made by bending soft sterling wire into letters. 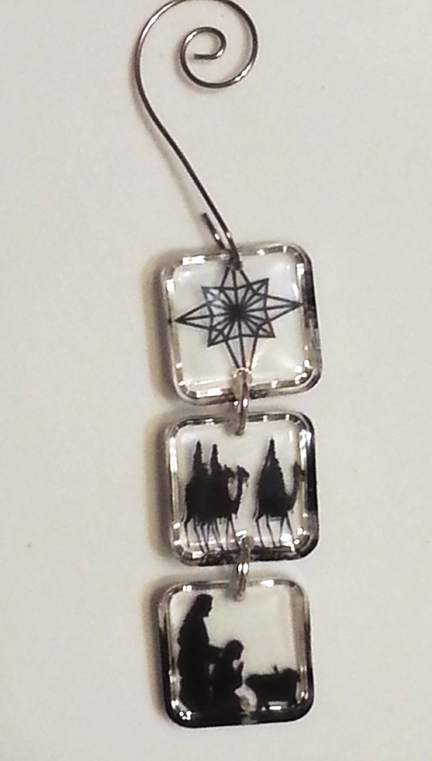 The chain is from an old necklace I recycled, so dig through your jewelry box and reinvent whatever you're not using. Start with the Doming Technique, allow your resin to set up for about 1 hour, then gently push the bent wire name into the gooey resin, which will hold it in place and bond it nicely. 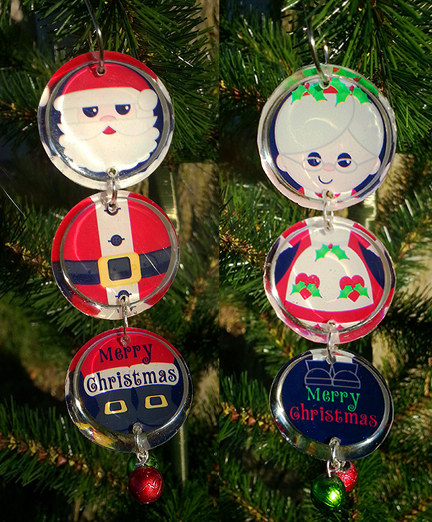 Click here to learn how to make Twisted Resin Ornaments and jewelry. These are so cute! Great to see how different this looks from the same technique shown above (we used vintage photos). Love these linked Large and Small Cast pieces. 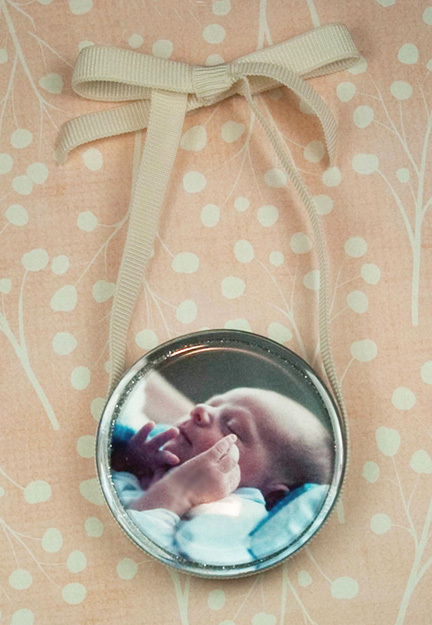 Cutting photos into outlined shapes shows the glitter behind and showcases this sweetie! 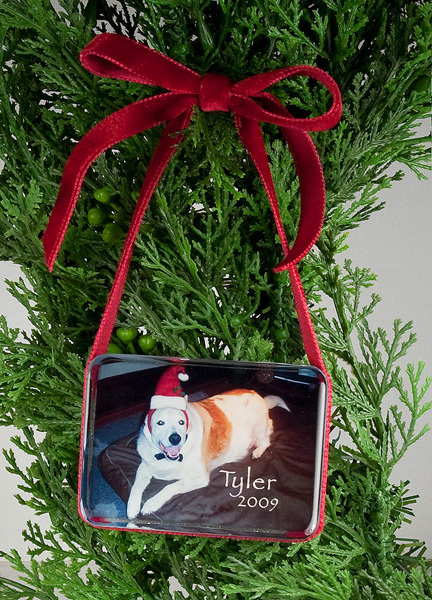 This ornament gets graphic with Little Windows Clear Photo Film. I made these for Halloween, but now that they're hanging out on my desk, I'm going to keep them there year-round! It's like having a line-up of my kids as action figures and I love it! Cut out the best part of your favorite photos, mount them on Clear Photo Film printed with a graphic design, and dome them up to make an awesome photo display for your home or office. See this related video for a how-to. We're hooked on charms. Once we finished our Pics 'n' Chips creation, this idea evolved. I went back and found photos of my kids from every Halloween (so far), and charmed them all. I love being reminded of the silliness! This top piece converts from a necklace to a bracelet using a hook-clasp, but works just as well with magnetic clasps. Check below for a cool idea for the back sides too! Here's a different way to mount your charms, I used colored jumprings in the corners to attach them in this checkerboard pattern. Using our Special Double-Sided Photo Paper, I printed a spiderweb design on the back of the cropped images. Then I stuck some glittery number stickers on the back, showing her age that year, so it really tells a story! 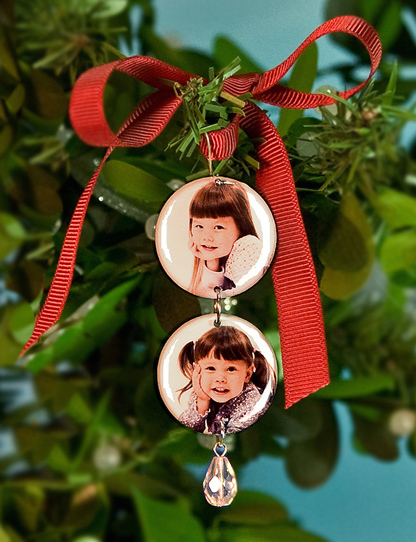 For holidays and everyday, these make such a special gift. 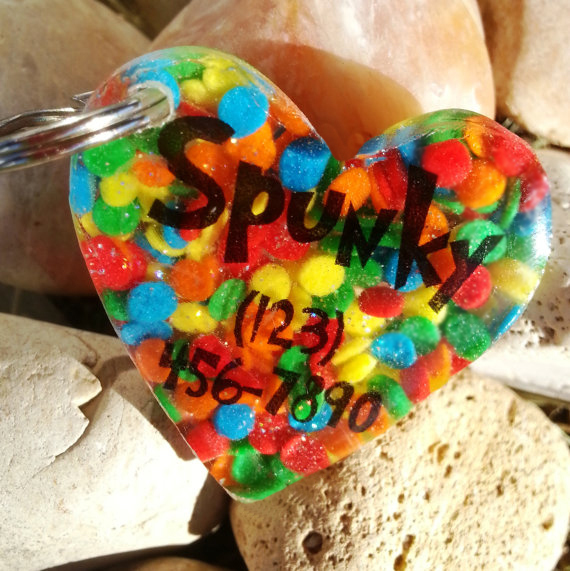 Whether it's a single charm, or an assortment, it's a great way to show off kids, pets, vacation, and weddings, or to remember our loved ones. If you have more questions, please check our Info Center. I just finished editing this video and I LOVE the results. 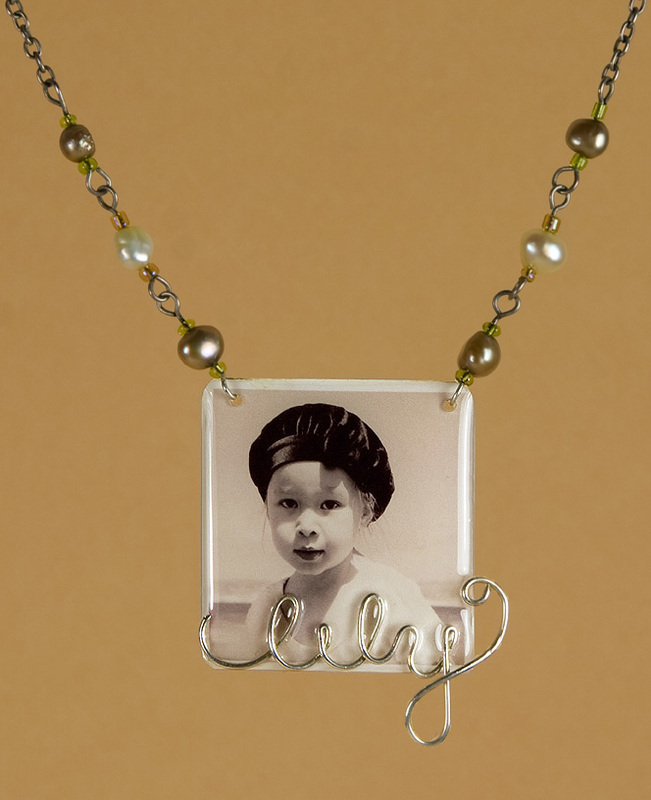 Using our new Clear Photo Film, some resin, a drill, and some jumprings, we created a new way to showcase your pix! Of course during the making of this video I thought of about 25 more projects using this technique. Send me your ideas too and we'll add them to the mix!